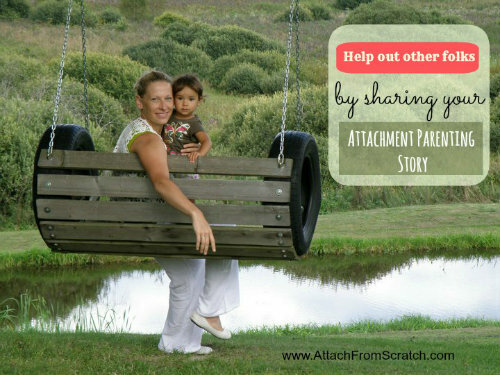 I have been telling my Attachment Parenting Stories, have you? Few years ago I met a young women who was about to become a mother. As she was walking out of the doctor's office I saw her face that looked very frightened and lost. She sat next to me because she had to wait for some more tests to be done on her. Obviously, we were both pregnant so our chat started naturally and after few minutes she said: "I want to give the best for my child but I am so lost. The doctor keeps pushing me for C-section and doesn't even listen when I mention natural birth. My mother says breastfeeding is hard and it hearts. And how will I raise my child when I don't know anything about children?." I could tell she was screaming for support and some kind of advice that would support her intuition (that she had, but could not see). We exchanged numbers and made "a tea date" later that week. I never lectured her or gave her an actual advice (unless she asked for it). 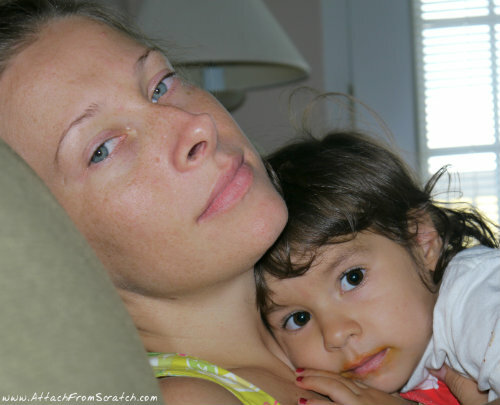 All I did - told stories from my attachment parenting experience. I started with the stories of my natural birth and how I got there. 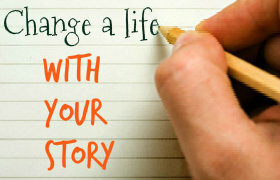 My stories are not special or extraordinary, but they are real events that led me to some great experiences. I did tell her my breastfeeding struggles and miracles. The nursing stories thought her that pain and hard work is nothing comparing to the benefits and joys of breastfeeding. I am no expert in positive discipline as I learn myself every day. I think every parent struggles at one point or another with finding the best solutions for raising a child without punishing, forcing, spanking, yelling, commanding, bribing. But I did tell her the story about how I handled "grocery shopping tantrum" of my 3 year old which involved accepting and respecting the feelings of the child and helping him to go through them (but not my buying that big bag of candy that he wanted). My new friend only heard bad stories on TV about co-sleeping. She didn't realize that most tragedies happen because of the unsafe co-sleeping practices. I told her my story about my first child and how I was pushed and frightened to "keep the baby in the crib". There are so many Attachment Parenting stories I shared with her just to ensure and empower her natural motherhood instincts. Now she is a good friend of mine with 2 active, curious, very independent, yet very sensitive and caring boys. You are not gonna believe me, but I do listen to her stories now as she really has some great ones. And I learn from them. She is a great AP mom. Actually, one the best I have seen. As it turned out she had the right instinct feeling of motherhood, but it was threatened by media, doctors and, unfortunately, family and friends. 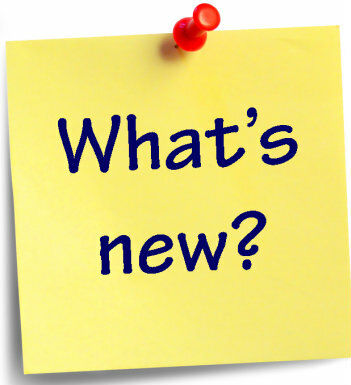 There is too much bad advice for new mothers such as: "cry it out is a good sleep training technique", "you should breastfeed till 6 months only", "spanking is part of child discipline" and so many many more. Let's share our Attachment Parenting Stories to make more families happier and healthier. All they need is to hear some real life stories to know that they are not alone and their natural parenting instinct isn't false. 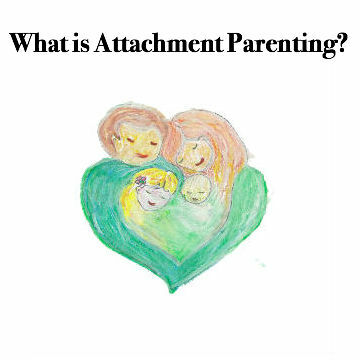 You are welcome to share any topic as long as it covers one of the Attachment Parenting principles. 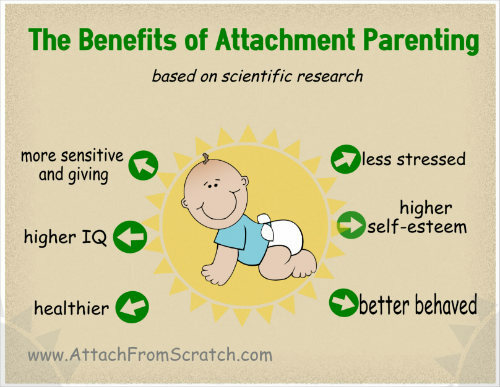 Why do you love Attachment Parenting? Before mothers decide to give birth at home they read a lot of home birth stories. Here is your chance to help out those mothers by sharing your inspiring and empowering home birth story. What was your waterbirth like? Have Some Great Tips that helped you with your breastfeeding journey? Share with the rest of us. You never know - you might help a women to overcome her breastfeeding struggles. Share your experience about co-sleeping and bedsharing. What is elimination communication to you and how did you do it? What is your experience? Why do you do it? How do you do it? How can I do it?